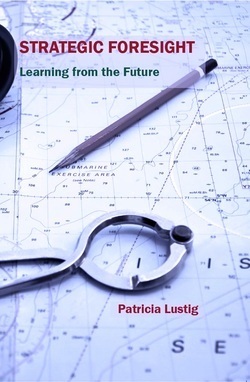 Patricia Lustig is a widely recognised and talented practitioner in Strategic Foresight and strategy development, future thinking and innovation. She advises at all levels, working from factory floor to boardroom, using Foresight, horizon scanning and futures tools to help organisations develop insight into emerging trends, build a strategy based on this insight and then implement the changes needed to carry the strategy out. Patricia has written numerous articles and is co-author of the business handbooks Beyond Crisis: Achieving Renewal in a Turbulent World, published by Wiley in 2010 and Here be Dragons published in 2012 by Choir Press. She has held senior advisory positions and led OD teams at major blue-chip companies such as BP, Motorola and Logica (supporting New Product Development at Motorola and Exploration & Production teams at BP in innovation, developing creativity and developing strategy). 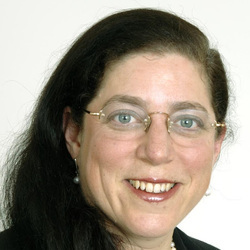 She was a Programme Director at Management Centre Europe working in the In-Company division (designing and running In-Company bespoke programmes), a Visiting Executive Fellow at Henley Business School and CIPD Faculty for Scenario Planning and Foresight. She has recently run interactive Foresight sessions for London Business School’s Executive Education. Patricia has also worked for over 20 years in Asia working in the areas of strategy development, institutional capacity building and rural and community development. She has supported organisation wide change projects, particularly in the area of behavioural change. In her recent work with a ROSCO and public sector organisations she used Horizon Scanning to develop insight to inform their strategic choices going forward. She ran focus sessions with a range of different groups, in particular researching the behaviours behind decisions for use of the internet. Patricia is a member of the Association of Professional Futurists and a Fellow of the RSA.